The New York Times bestselling classic tale about modern marriage and the basis for the popular films is now back in print! Poor Mr. Banks! His jacket is too tight, he can’t get a cocktail, and he’s footing the bill...He’s the father of the bride. Stanley Banks is just your ordinary suburban dad. He’s the kind of guy who believes that weddings are simple affairs in which two people get married. But when daddy’s little girl announces her engagement to Buckley, Mr. Banks feels like his life has been turned upside down. The dress that will be worn for one day is how much? Why would anyone spend that much for flowers? And however befuddled Mr. Banks becomes, no one pays the least amount of attention to him. He must host cocktail parties with the in-laws to be, initiate financial planning talks with Buckley, and moderate family conferences on who will be invited to the reception. But poor Mr. Banks! All he sees are the bills, and no one talks to him about losing his little girl! 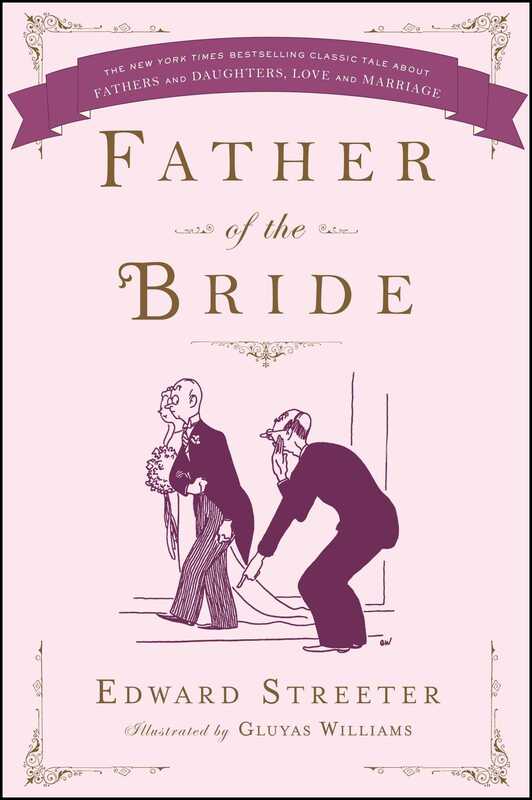 Father of the Bride is a timeless, heartwarming, and hysterically funny tale that appeals directly to the lighter side of life, and any man with a child about to get married can appreciate Mr. Banks’s situation and the troubles that befall him. Edward Streeter (1891–1976) started his career as the World War I correspondent and travel writer for the Buffalo Express. He grew famous for his “Dere Mable” letters, a humorous column which was serialized between 1917 and 1919 and which were collected and published in two books, Dere Mable and Thats Me All Over, Mable. After the war, Streeter became a successful businessman. Yet he continued to write short stories for magazines, and later, bestselling novels. His most successful novel is Father of the Bride. Other notable works include Merry Christmas, Mr. Baxter (1956); Chairman of the Bored (1961); Along the Ridge (1964); and Ham Martin, Class of '17 (1969).